The time following a traumatic brain injury can be confusing, especially since you might not understand all that has happened to you. You are likely facing a difficult road to recovery and ever-increasing medical bills that you shouldn’t be responsible for covering if your accident was someone else’s fault. When you’re unsure of how to move forward after a severe head injury, the assistance of a qualified lawyer can make all the difference. We will help you weigh your options, file a personal injury claim, and hold the person who hurt you accountable. Before anything else can be done, it’s important to retain the help of an attorney. The process of filing a personal injury claim can become quite complex; specific deadlines need to be met and complicated legal jargon is a lot to handle when you’re already dealing with a traumatic brain injury. 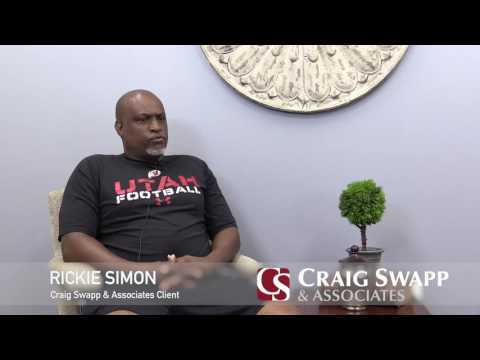 At Craig Swapp & Associates, we take pride in our principle of always prioritizing the needs of our clients. Your lawyer will be able to explain our next steps and advocate for you so you are able to spend your time focusing on recuperating. Once you’ve hired a lawyer, we will begin by taking your statement of the events of your accident. Then, we will collect additional evidence to support your case. This may include witness statements, police reports, and medical documentation, all of which can help establish the severity of your injury and your need for compensation from the liable party. While gathering evidence, we will be able to determine who should be held responsible. How we determine this will depend heavily on the type of accident you were involved in. For example, if you were involved in an auto accident, we would investigate the vehicles involved and the other driver for fault. Next, we will use the diagnosis and opinion of your medical team to calculate how much we should seek for compensation in your brain injury claim. We do this by adding the amount of your medical costs and lost wages to the non-economic damages we are able to place a value on. Finally, we will begin negotiations with the insurance company or negligent party before resorting to going to court. Should the other side fail to deliver a reasonable settlement offer, we are prepared to bring your case to court. You shouldn’t have to deal with the burden of difficult litigation when you should be recovering. Your Craig Swapp & Associates brain injury lawyer will work to secure the compensation you need to heal without added financial anxiety. Schedule your free, no-obligation consultation today by filling out the contact form below or giving us a call at 1-800-404-9000.